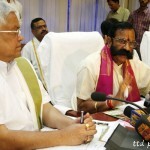 The board has approved Rs.12.85cr towards the purchase of 30.62lakhs kilos of rice from Rice Millers Association of Andhra Pradesh required for the next 3 months(Rs.42 per kilo), Rs.9cr towards the purchase of Bengal Gram(22lakh kilos for six months), Moong Dal-1.35cr to purchase 1.5lakh kilos for a period of one year, 1.67cr to purchase 440tonnes of jaggery at a cost of Rs.38.10Ps per kilo for a period of one year. 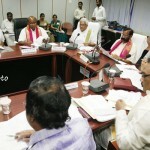 The board has decided to appoint 186 outsourcing staff to tackle the emergencies of forest fire atop Seshachala Ranges. The board has given nod to continue the services of 332 workers in main potu and 140 workers in additional potu for a period of two years. 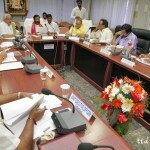 The board has approved to set up 108 inch LED TVs in all the 32 compartments in Vaikuntam queue complex for the benefit of the pilgrims. 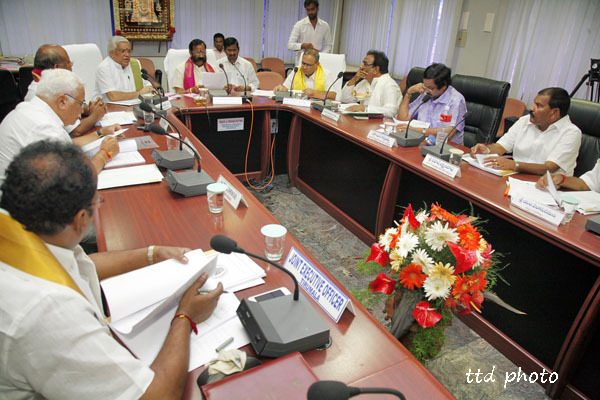 To meet the drinking water requirements of pilgrims and denizens in Tirumala, the board has decided to water from Tirupati Corporation. 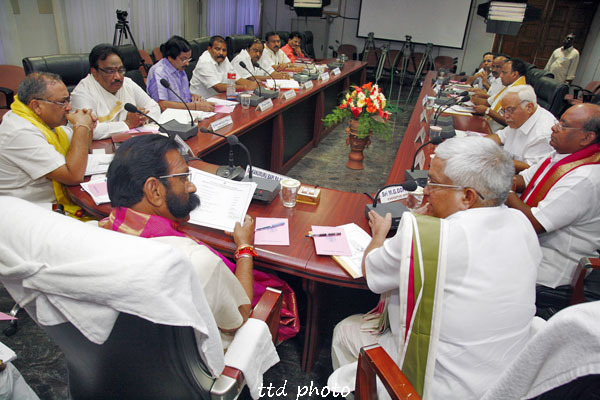 (TTD requires 7MLD(million litres per day) and for this TTD will pay Rs.85 lakhs per month to Tirupati Municipal Corporation based on its requirements. 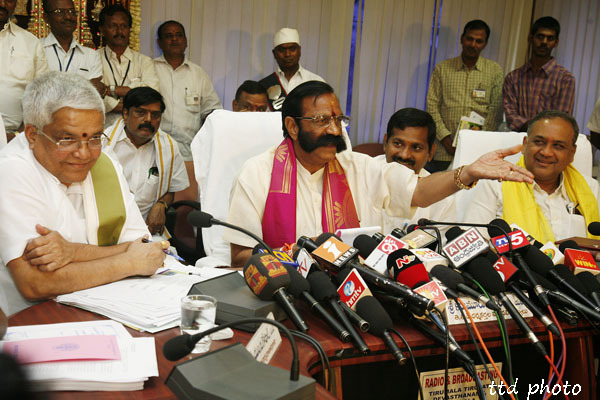 The board has appreciated the efforts of TTD for bringing an income of around 715cr through the sale of human hair sale from 2009 till now. 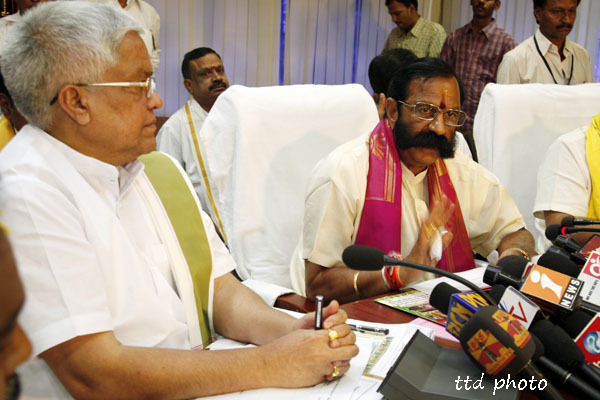 TTD chairman appealed to the devotees to donate srivari melchat vastram abiding to the norms and specifications of TTD. 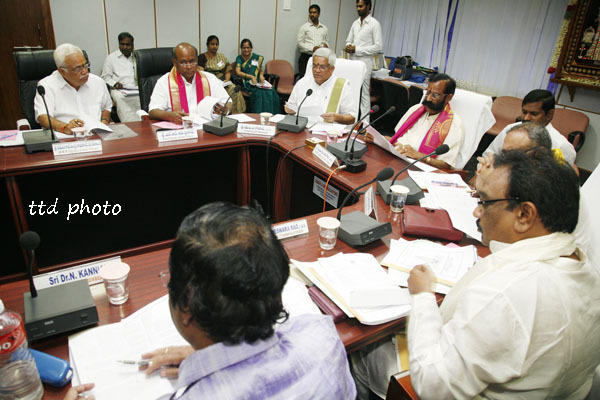 TTD EO Sri MG Gopal, TTD Board Members Dr N.Kannaiah, Sri L.R.Sivaprasad, Sri Ch. 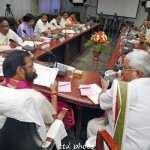 Lakshman Rao, Sri R.Srinivas, Ex Officio Members Sri B. Venkateswara Rao, Sri N.Muktheswara Rao, Sri Venkataramana, TTD JEOs Sri K.S.Sreenivasa Raju, Sri P.Bhaskar, CVSO Sri G. Srinivas, Addl FACAO Sri O.Balaji, Chief Engineer Sri Chandrasekhar Reddy were also present.